Getting travel quotes for safaris in Tanzania, climbs to Kilimanjaro and treks in Nepal just got easier with the launch of BookMundi’s new travel quote feature. Travellers will now receive a minimum of 5 free and unbinding trip offers from qualified tour companies within 3-6 hours of their enquiry. Within the travel industry, booking flights, hotels and day tours online are already mature and saturated markets. However, the billion-dollar multiday tour market segment remains open for innovation and significant growth. 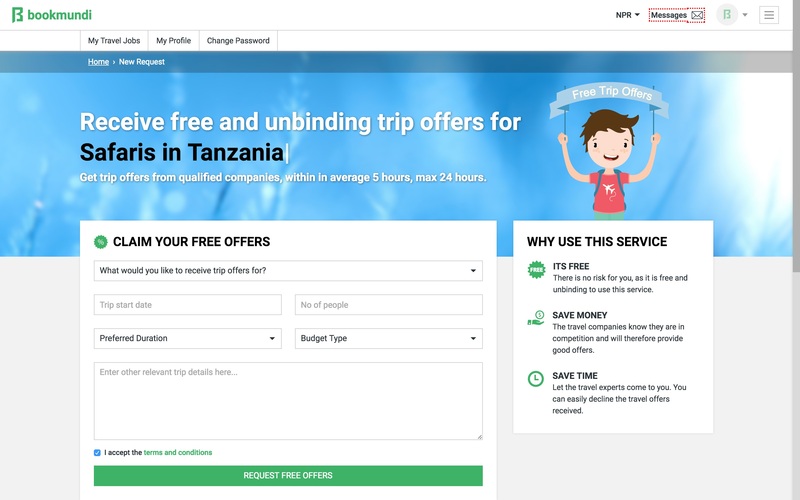 Online travel booking platform BookMundi has released a new ‘Get Travel Quotes’ feature that enables travellers to receive at least 5 free and unbinding trip offers from qualified travel companies. The free feature has already been rolled out for safaris in Tanzania, climbs to Kilimanjaro and treks in Nepal, including the famous Everest Base Camp. Bookmundi processes every enquiry internally and tour quotes usually arrive within 3-6 hours. “Within the travel industry, booking flights, hotels and day tours online are already mature and saturated markets. However, the billion-dollar multiday tour market segment remains open for innovation and significant growth,” said Bookmundi Managing Director Rasmus Juul-Olsen. After receiving customised travel quotes customers can access them in one place, allowing for an easy overview and comparison. They can either book directly with their preferred travel company or engage with them using Bookmundi’s integrated real-time chat and message feature. Companies will respond swiftly to all enquires and also come back with revised offers based on the customer’s feedback. “We launched the ‘Get Travel Quotes’ system to kick start growth and innovation within the multiday tour segment. We are already seeing growth based on the new ‘Get Travel Quotes’ feature. Our goal is to ensure that our customers get swift access to competitive travel deals delivered by professional and licensed travel companies,” said Juul-Olsen. More information about BookMundi and their new ‘Get Travel Quotes’ feature is available here. Bookmundi ApS is a Danish company. 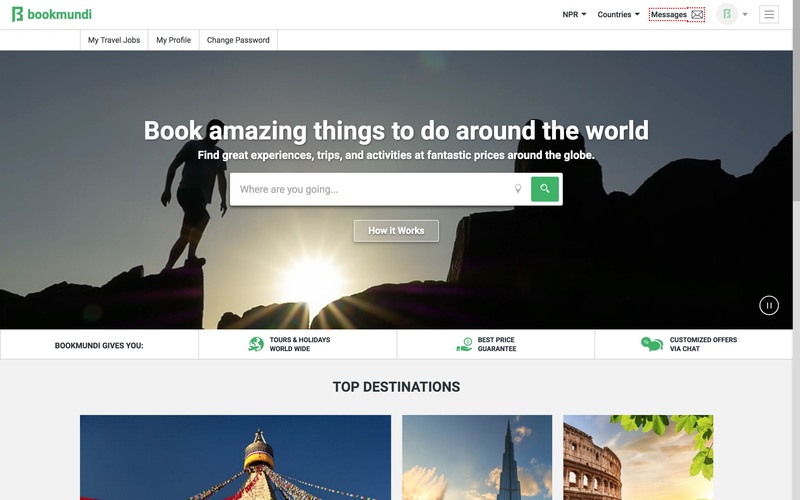 They launched Bookmundi.com, an online travel booking platform in June 2015. The portal enables travellers to book holiday activities, day tours and multiday tours around the world. From skip-the-line tickets to visiting famous attractions like the Eiffel Tower, La Sagrada Familia and Burj Khalifa or day excursions to Ha long Bay, Angkor Wat, Cappadocia in Turkey, and even more complex tours to Everest Base Camp and Mt. Kilimanjaro – Bookmundi.com hosts a wide number of holiday tours and packages.